Gombe United FC is, quite surprisingly, the current leaders of the Nigeria Premier League 2012, mostly because of the impressive attacking duo of Mustapha Babadidi and Sani Sanusi. Babadidi and Sanusi have each scored five league goals and are leading the race for the top scorer award. Both players are apparently products of the youth setup at Gombe United FC and as far as I know, they are both teenagers. Babadidi can also play as a right-winger while Sanusi is more of a typical centre forward. Both players have benefited from the sale of star striker Adamu Mohammed to Dolphins FC and they have taken their chances with both hands. Gombe United FC has only conceded one goal and their defensive line is marshaled by experienced goalkeeper Uche Akubuike (born 17.03.1980) and the strongman MacMarcel Obioha. Heartland FC has been able to keep their most important players and players such as central defender Emmanuel Olowo (born 14.04.1988), Ghanaian left-back Joseph Jackson (born 12.08.1989), midfielder Julius Ubido (born 29.12.1984), playmaker Ikechukwu Ibenegbu (born 22.02.1986), right-winger / attacker Bello Musa Kofarmata (born 12.05.1988) and support striker Osas Okoro (born 07.09.1990) are all players from the top shelf in the Nigeria Premier League. On 16.01.2012, I wrote that the up-and-coming striker Kabiru Umar had joined Kwara United FC. Unfortunately, this is yet again proving that one should be careful trusting pre-season transfer rumors in Nigeria, even rumors that are presented as facts. Umar never joined Kwara United FC but teamed up with Heartland FC. Personally, I think the striking duo of Okoro and Umar sounds extremely promising. 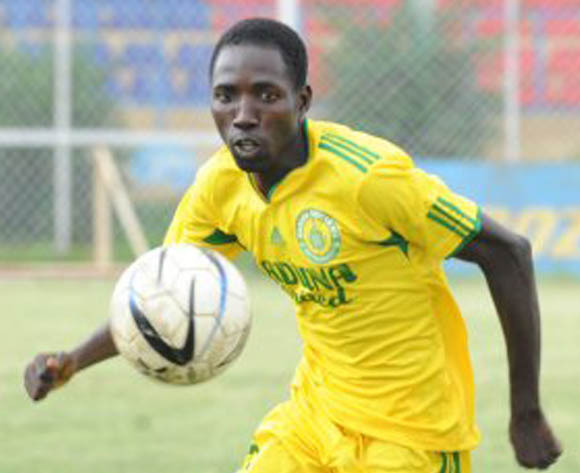 It is not easy to find information about the newcomers of Jigawa Golden Stars FC but the signing of Bala Mohammed, the former captain of Kano Pillars FC, could be crucial to the success of the team. Mohammed, most likely in his early twenties, is usually a defensive midfielder but can play anywhere in the back four. Noble Anasoh (born 15.07.1989) is a bullish striker and a former product of the Pepsi Football Academy. Kaduna United FC has experienced a mass-exodus of players and they are currently building a new team pretty much from scratch. Central defender Jonathan Akinlade, left-back Anthony Michael, and dynamic striker Ali Adamu are some of the players that stayed and they will all play significant roles. Adamu is my guess for the top scorer award at the club this season. The picture is of Adamu and is taken from MTN Football. From my point of view, the most interesting newcomer is Charles Ikenna, a promising midfielder that featured for Enyimba FC and Heartland FC last season. Oliver Nsidibe, an attacking midfielder signed from Lobi Stars FC, also looks promising.